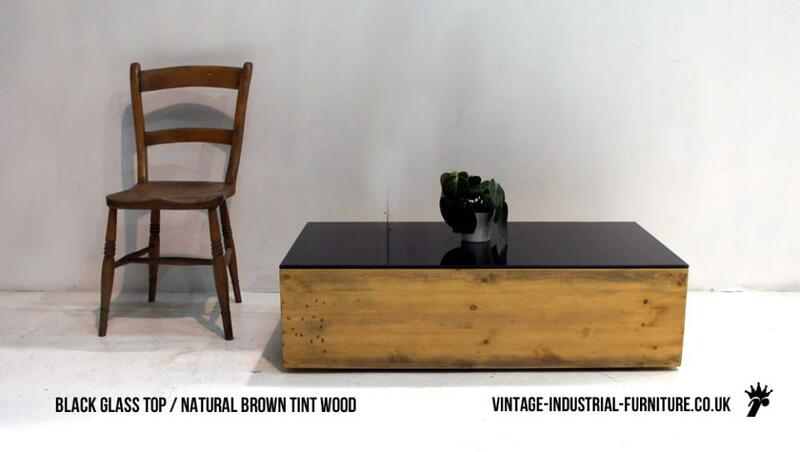 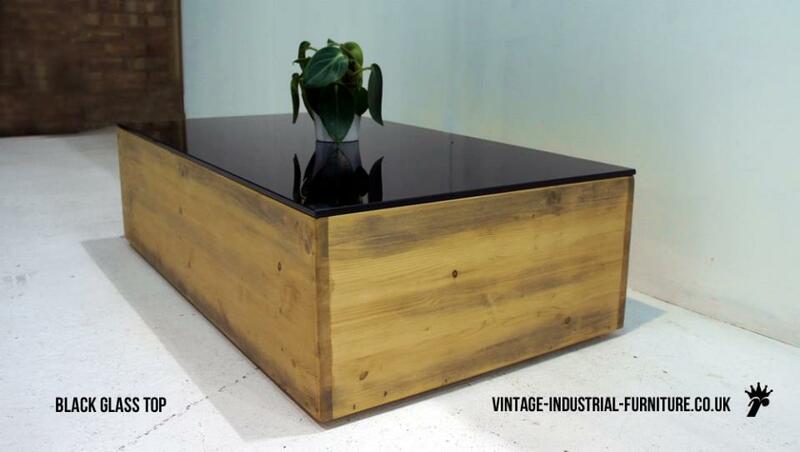 This vintage style glass top coffee table offers an aged aesthetic with a crisp glass surface. 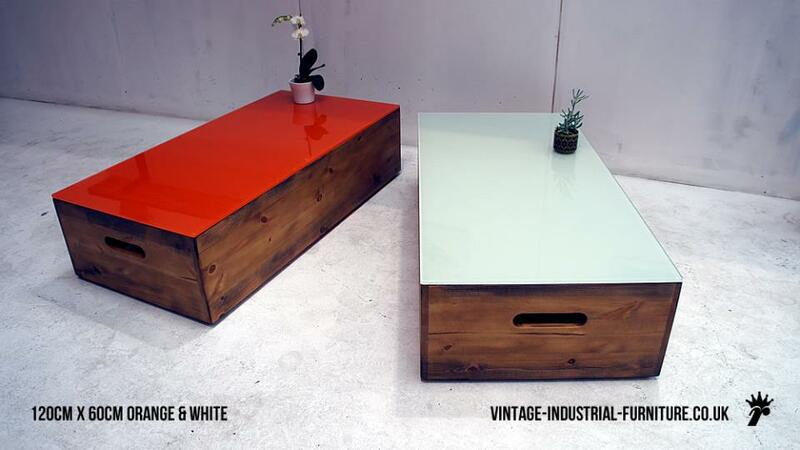 It is available as shown or with other top colours. 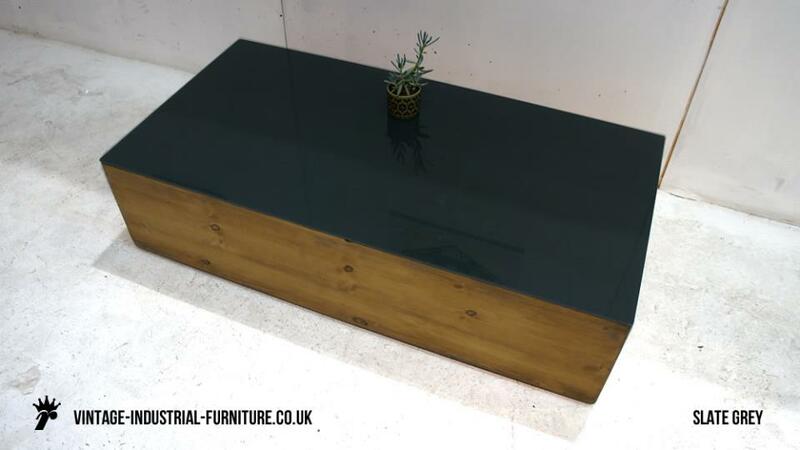 The toughened glass top provides a resilient surface, whilst the box construction below affords support. 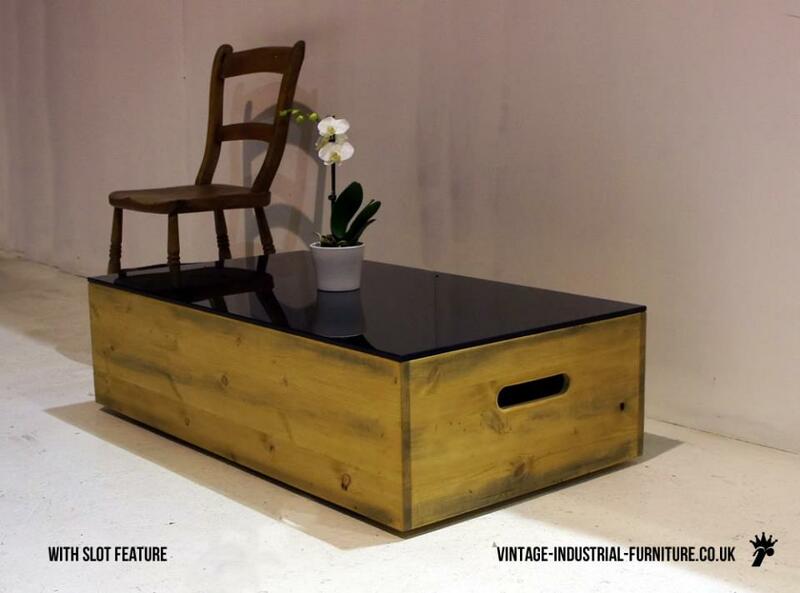 For extra presence and a purposeful stance, the whole unit is slightly raised from the floor on four smooth feet. 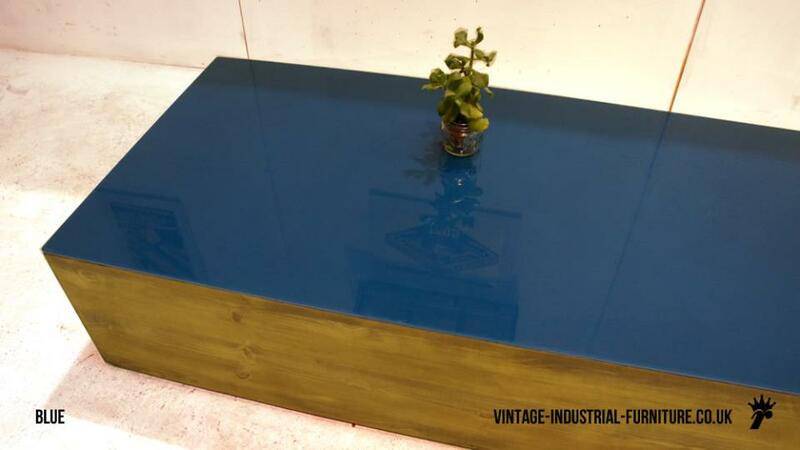 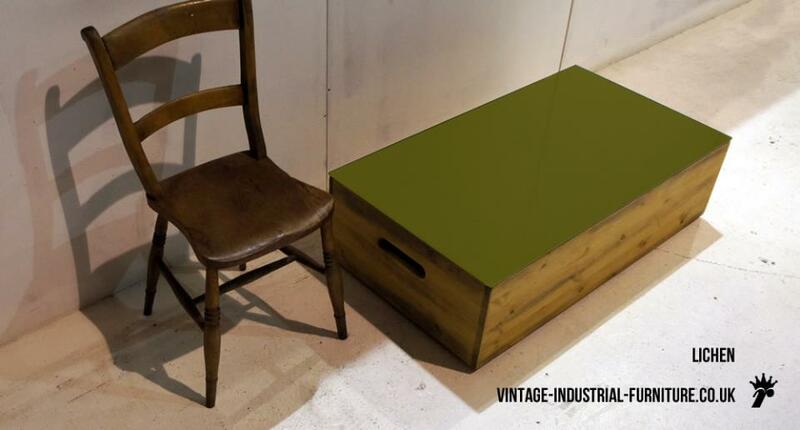 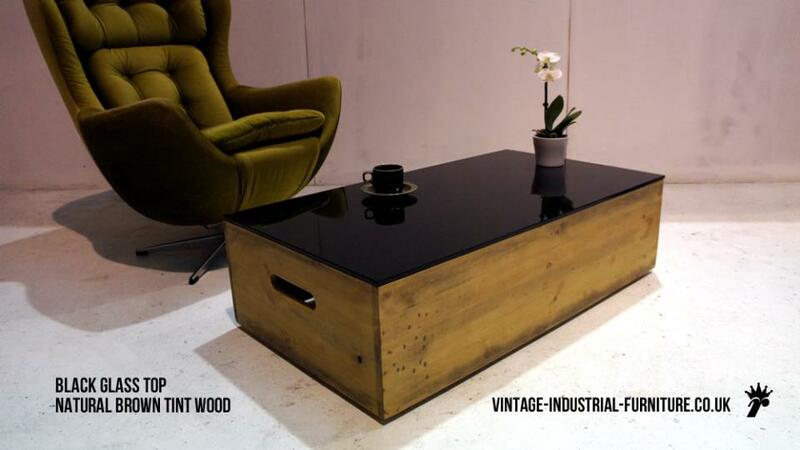 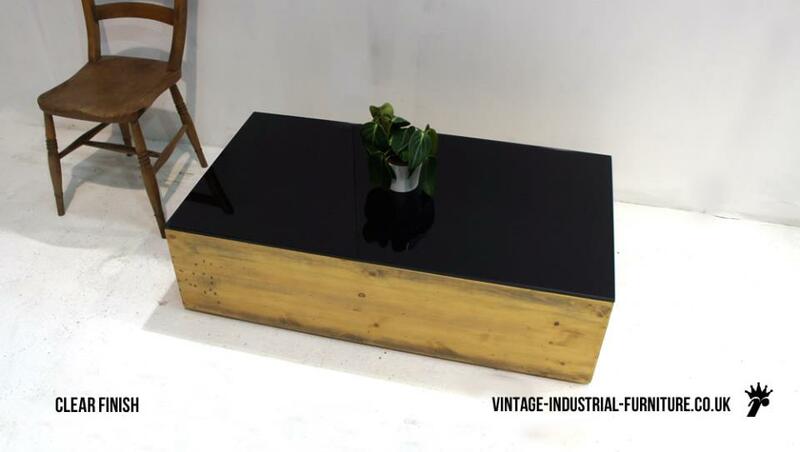 Our vintage style glass top coffee table is also available in other sizes.